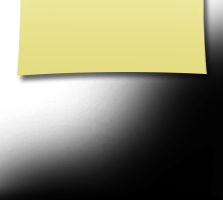 Updates to Julia Jane's profile since your last visit are highlighted in yellow. State Farm Insurance Agent & Registered Repres. John Cozart, born 1974. John and Angie live in Collierville, TN with their son, Will, Age 10. John More…is a State Farm Insurance Field Compliance Officer for North Mississippi and Shelby County. He is a graduate of Union University, Jackson, TN. Angie, his wife, is a first grade Teacher at Tara Oaks Elementary School in Collierville. Amy Cozart, born 1978. Amy married Gentry Belew in 2009 in New York. They live in Brentwood, TN and presently do not have any children but one grand dog, Miss Rozz. Amy and Gentry work at State Farm's Regional Office in Murfreesboro, TN as Auto Claims Adjusters. Amy is a graduate of Marymount College in New York and Gentry is a graduate of University of Tennessee. I want to thank John, Dianne, Milton and all the many Classmates for the hardwork and thoughtfulness that has gone into getting our Class Reunion together. I am so appreciative and look forward to being there and enjoying every moment. I have been blessed with a beautiful family and two rewarding careers. For 28 years, I was involved in Elementary Education in every venue from teaching 3rd, 4th, 5th, 6th, 7th, 8th grades as well as Special Education Supervisor for Paris,TN City Schools. In 1991, my husband, Bill Cozart, passed away and I applied for his State Farm Insurance Agency and was the first surviving spouse to get an agency with the Company in the US and Canada. This has been a very successful, rewarding experience for family and me. I have just entered my 21st year with the Company. In 2002, Marvin Reid, from Ripley, MS re-entered my life from Northeast Jr. College. We both had been widowed for 13+ years and my dear, dear friends, Mary Nell, Pat and Linda Kaye Wicker got us back together. (see Mississippi Magazine Article.) With Marvin, I also inherited a beautiful ready- made family. He has identical twins daughters, Amy and Allison. They are Physcial Theraphist in Jackson, MS. Amy is married to Charlie Knighton and they have 2 daughters, Abbie and Celeste. Allison is married to Jeff Fracchia and they have 2 sons, Reid and Owen. For a little girl from Biggersville, I have had the opportunity to travel the world to many famous cities and places. I have studied and enjoyed the arts in all forms in Europe, London and the United States. Our Senior Trip NY changed my life about the ARTS. I HAD DREAMED AND THEN THEN DREAMS CAME TRUE. My son, John, recieving his Eagle Award in Scouting. My daughter, Amy, recieving a triple major in College: Business, Education and Art(Ballet). I recieved the Silver Beaver Award in Scouting. Highest award for Adult's work in Scouting. I recieved the Business Person of the Year in Paris, TN, in 1998. I married Marvin Reid in December, 2002. My School Story is not funny, even though I have a huge memory bank of school stories which I will share at the reunion. My story is more my testimony about coming to Corinth High School. "no one can take a good education away from you." I transferred to Corinth and it was the best day of my life. The school, the teachers and my 1962 classmates made me who I am today. I was behind academically and had to play catch up the first year. I had to go to the Jr. High building because I was a year behind in math and Mrs. Sweat was my teacher. English was a major subject which I needed help. I got Mrs. Sharp and I was absolutely freightened to death of her. My knees jerked everyday, every class time for one year! I am so thankful for Mrs. Sharp because she made it possible for me to succeed in college. If asked today who is my favorite teacher, I would not hesitate in saying Mrs. Ruth Sharp. I was good in Math, therefore, Miss Street and Mr. Smith were just the icing on the cake. Mrs. Sharp was an excellent typing teaching and I can probably still do 90 words a minute! I enjoyed Miss Roper and Miss Kerr. They were great dedicated teachers. Thank you Miss Kerr for helping me get up and speak without being afraid and bashful. Speaking has carried me far. I use to tell my children when I stop talking and speaking we might go hungry. I truly use what Mrs. Underwood taught me. All my friends have always been amazed at the china, crystal and silverware patterns that I know and table etiquette. Mrs. Underwood was the perfect example of a Southern Lady. From my first day at Corinth, I bonded and made life time friends. All throughout the years, I have felt and believed our class was dedicated to each other. We were a fun filled class who enjoyed being together and sharing with each other. I have wished that my children could have had the same type people to go to school with as I did. I never felt there was an enemy in our class, always friends and someone with your back. I have been blessed in keeping in touch with so many of you and those I have not been in touch with, as long as Mother was living, I knew about everybody. Again, I was blessed and BECAME who I am because of the class of '62, great teachers and Corinth High School. Julia Jane Dees Reid posted a message. Happy Healthy Birthday to a dear friend! Julia Jane Dees Reid posted a message. New comment added. Marvin and I were excited to see you in Houston. Pray Helen has recovered. What an honorable sacrifice for a friend. Always, Jane. Julia Jane Dees Reid has a birthday today. Nancy Louise Lipford Yates posted a message on Julia Jane Dees' Profile. Jane, hope you have a very happy birthday. Jane, hope you had a very happy birthday. Julia Jane Dees Reid has a birthday today. New comment added. Milton my sister Betty will be coming to Corinth on Monday , June 15 at 6:00 for planning her Class Reunion. I would like for her to pick up my colored portrait that you have save for me. If I owe Joe Mc anything please let me know. Also I have a donation for the Curlee home in memory of Stephanie. I think of you often and know too well what you are going thru. Please let me know if this is possible. Happy, Healthy Belated Birthday. Hoping you and Larry a doing well. Jamey, Happy Belated Birthday. Wishing you a good year. Just smell the roses! Tell my dear friend Nancy "Hello" next time you see her. 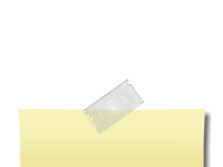 Julia Jane Dees Reid added a comment on Profile. Married December 6th, 2002. Please read the article which is attached from the Mississippi Magazine that tells about our wedding. 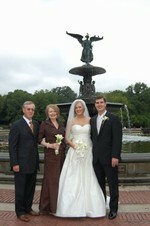 My daughter's wedding in 2009 at the Bethesda Fountain in Central Park in New York City. From Left to Right: Marvin, Jane, Amy, and Gentry. Marvin and Jane at the Colosseum in Rome, Italy. My ready-made family when I married Marvin. This is the article from Mississippi Magazine highlighting how Marvin and I found one another again.